Capresso has your quick gift guide to holiday shopping. Choose from professional espresso machines, stylish milk frothers or functional coffee grinders. More gift ideas available at Capresso.com. The Capresso froth TEC Automatic Milk Frother offers a quick, easy, no-mess way for your favorite chocoholic to make velvety-soft milk foam for cold and hot specialty beverages. 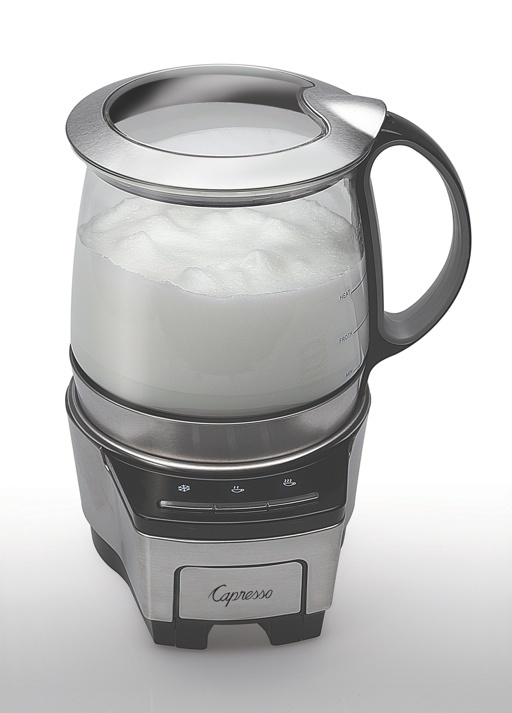 Its large-capacity glass pitcher can froth up to 10 ounces of milk, or heat up to 16 ounces. 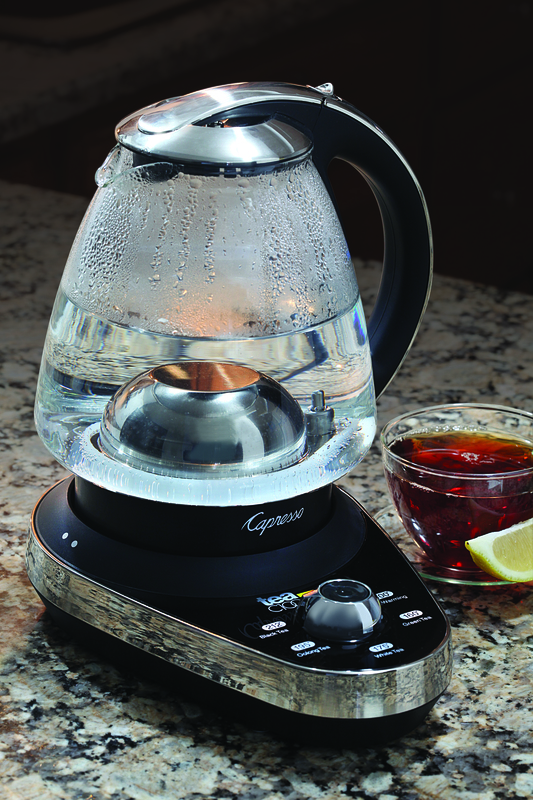 Features 3 temperature settings—Hot, Warm & Cold—for endless beverage possibilities. $99.99. The Capresso Coffee à la Carte™ Cup-to-Carafe® Coffee & Tea Maker combines two of the most popular trends in coffee makers—single serve and carafe-style—with a separate tea filter to rapid brew tea. Operation is easy and intuitive, with customizable brewing and sizing options. Preset illuminated brewing buttons for Small Cup, Large Cup, Carafe or Tea. $179.99. The commercial-grade Capresso EC PRO Professional Espresso & Cappuccino Machine features an advanced 15 bar pump boiler system and two filter choices—double spout filter and bottomless filter—that allow espresso lovers at any skill level to prepare barista-quality espresso. It comes with a 42-ounce removable water container, easy-to-read indicator lights for On/Off and Coffee/Steam, and a high-pressure commercial style power frother that creates perfect microfoam for cappuccinos and lattes. $249.99. The Capresso Cool Grind Blade Coffee & Spice Grinder makes a great addition to the kitchen of any foodie who wants freshly ground spices or coffee. It’s sleek look and improved grinding mechanism produces a low heat build-up to better preserve flavor and aroma. Black or White. $19.99. The Capresso teaC100: For the foodie that does it all. With five easy-to-read temperature settings, ranging from 100° to 212°F, the teaC100 is beautiful unit for heating water. Tea lovers will appreciate the precise temperature settings for green, white, oolong and black tea. Home cooks will benefit from the quick and efficient heating action when preparing French press coffee, rehydrating dried mushrooms or creating a water bath for cheesecake. $99.99. 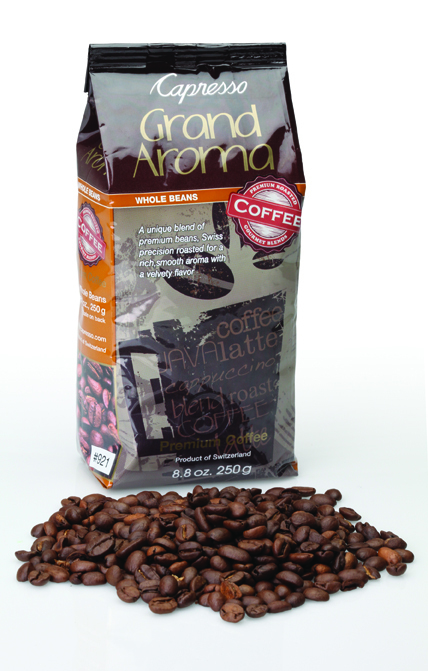 Coffee connoisseurs know the best cup of coffee starts with whole coffee beans. This holiday, give a bag (or two) of the Capresso Grand Aroma Coffee Beans: a unique blend of premium beans, Swiss precision-roasted for a rich, smooth aroma with a velvety flavor. Choose from Regular, Decaf or Espresso roasts for any method of brewing. Available in 2, 6 or 12 bag options priced between $5.84 – $9.49 per bag (depending on the number of bags purchased). 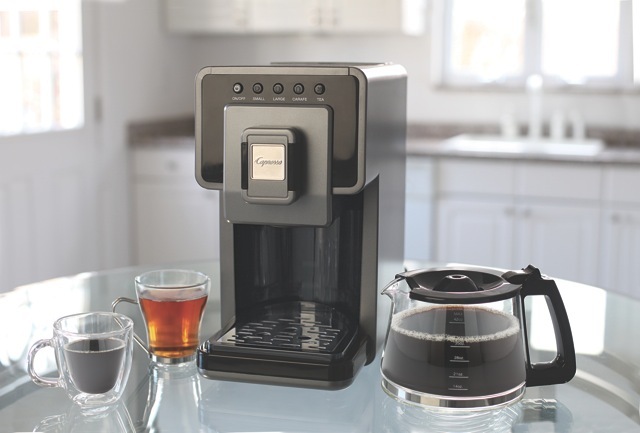 Shop for these Capresso products and more at Bed, Bath and Beyond or Capresso.com. Give the espresso lover in your life the gift of coffee house-quality beverages at home with the Capresso EC PRO Professional Espresso & Cappuccino Machine. The machine brings together a professional pump boiler brewing system and two filter choices, with a sleek design that’s easy on the eyes. The EC PRO features two filter options for home brewers of any skill level. Designed for beginners, the double spout espresso filter offers the convenience of brewing one or two delicious espressos at a time. With this filter, anyone can create a flavorful brew, without having to master barista techniques. Meanwhile, expert brewers can brew like a barista with the EC PRO’s bottomless espresso filter. This professional-quality bottomless sieve produces a richer, thicker crema and hotter brew. A commercial-style frother prepares light, airy foamed milk—perfect for latte art—or creamy steamed milk for delectable cappuccinos and lattes. The machine features heavy-duty stainless steel construction that fits seamlessly into any kitchen decor. Its small footprint makes this a perfect option for kitchens with limited countertop space. The Capresso EC PRO is available for $249.99. 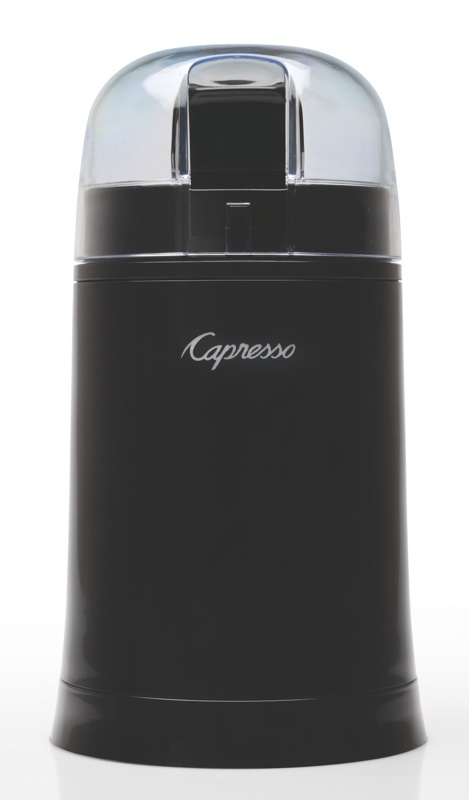 This Black Friday, shop for the Capresso EC PRO at Capresso.com or specialty retailers. 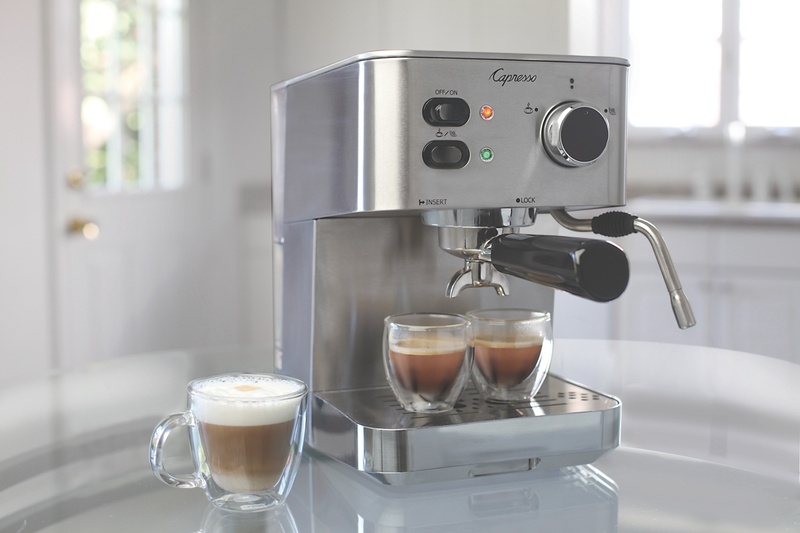 Capresso offers a range of espresso machines, coffee makers, water kettles and automatic milk frothers. Learn more at http://www.capresso.com.